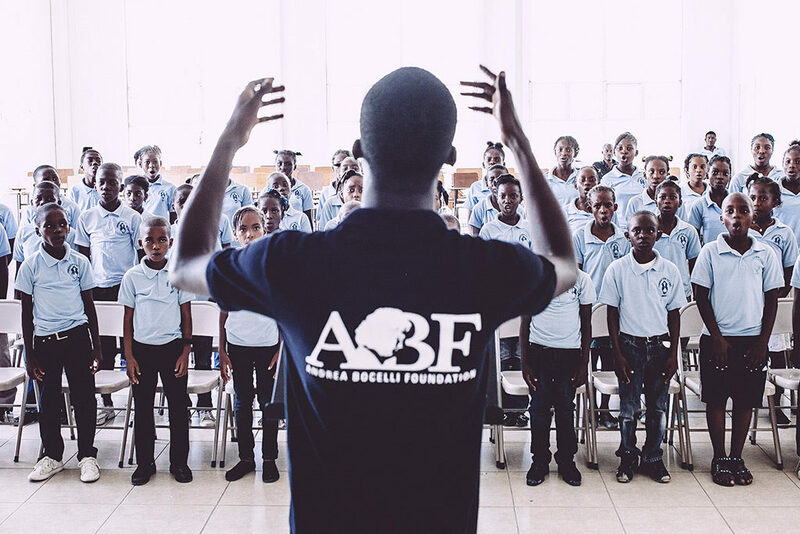 The Andrea Bocelli Foundation – the foundation established by the world most famous tenor, with the mission to “Empower people and communities” – has created in Haiti a choir of sixty elements selected among the over twelve thousand students from the schools active in Haiti thanks to the ABF – St. Luc. Foundation system. 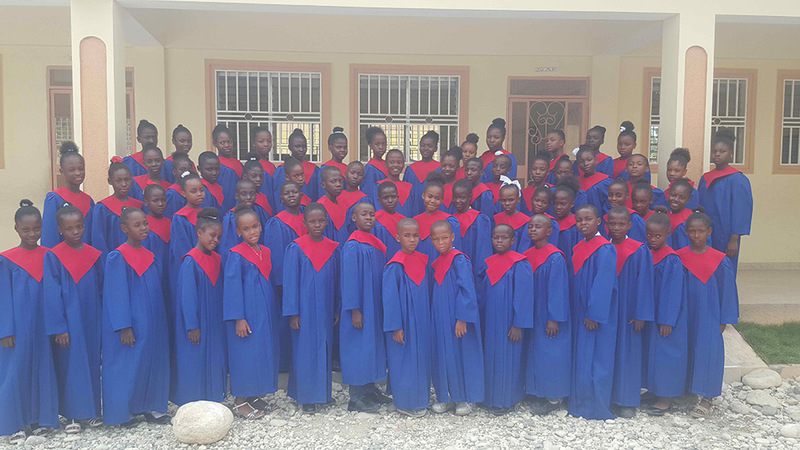 The choir, named “Voices of Haiti” and comprising of sixty young Haitians aged 9 to 15, will be in New York September 13th to 20th, for its international christening. An exciting debut that will see the choir, together with Andrea Bocelli, at a series of prestigious series including the “Global Exchange” program at the Lincoln Center, a conference at the United Nations, a Gala organized by World Childhood Foundation USA in the presence of HRH Princess Madeleine of Sweden, and the “Clinton Global Citizen Awards” hosted by the Clinton Foundation. Conceived as a structured and stable educational reality, this project offers the opportunity to children and young Haitians coming from extremely disadvantaged situations to enhance their talent thanks to a highly specialized training, benefitting also from a wealth of educational, cultural and life opportunities, precious for their future. Directed by Malcolm J. Merriweather, a professor at Brooklyn College Conservatory (CUNY), “Voices of Haiti” will rely on a team of Haitian musicians, teachers, and administrators. “Voices of Haiti” sings in Creole, Italian and English. For the New York debut, the choir will perform songs from the Haitian tradition and world famous pages of classical and pop repertoire. Performances have already been schedule in 2017 at New York’s Madison Square Garden, in Miami and in Europe. The Andrea Bocelli Foundation is active in Haiti with several projects, providing education food, and health care to thousands of children. For more information, please visit: www.andreabocellifoundation.org.